The seven key points you need to know to judge how suitable a forklift truck is for your operations. The benefits that a well-suited forklift truck can bring to all areas of your business. How to identify components of a forklift truck that could be a cause for concern in your business. 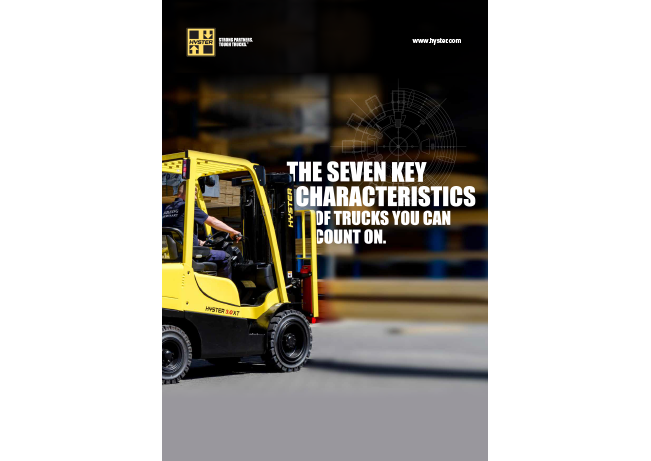 Download The Seven Key Characteristics Of Trucks You Can Count On and we’ll give you the keys to low-cost operations for the tough jobs. The XT is specified for standard applications. Features which would only be needed for intensive or specialised work are left out to keep the price right for your application. The XT’s fuel-efficient engines will save you money every day. The PSI LPG units can be switched between two performance modes to match the nature of each task. Low-maintenance or maintenance-free systems, long service intervals, and easy access to all components, minimise the time and cost of scheduled servicing. By downloading our eGuide you have the option to enter into our competition to win a Monster Truck Experience Day for you and your team. To enter into this competition simply tick the box at the bottom of this form and you and your team could be taking part in the daddy of all driving days*! 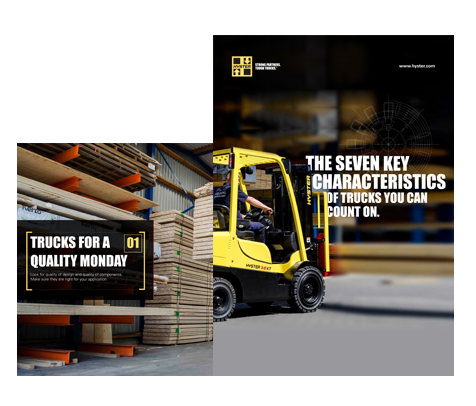 Every person that downloads our eGuide ‘The Seven Key Characteristics of Trucks You Can Count On’ will not only receive a great read, they will also have the opportunity to enter an exclusive competition to win a Monster Truck Experience Day courtesy of Hyster. We’re giving one lucky reader the chance for them and their team to get to grips with a truly gigantic monster truck and rampage around a course filled with hills, steep drops and tight corners. Leisure Pursuits' Corporate Monster Truck event includes a drive in an American-spec monster truck, a Euro-spec monster truck and the chance to get behind the wheel of purpose built off-road vehicles. To enter, simply download our eGuide ‘The Seven Key Characteristics of Trucks You Can Count On’ and submit your entry before Friday 28th April 2017, when the competition closes. The winner will be announced via email on Friday Friday 12th May 2017. The winner and their guests must be aged 17+ to access the venues. 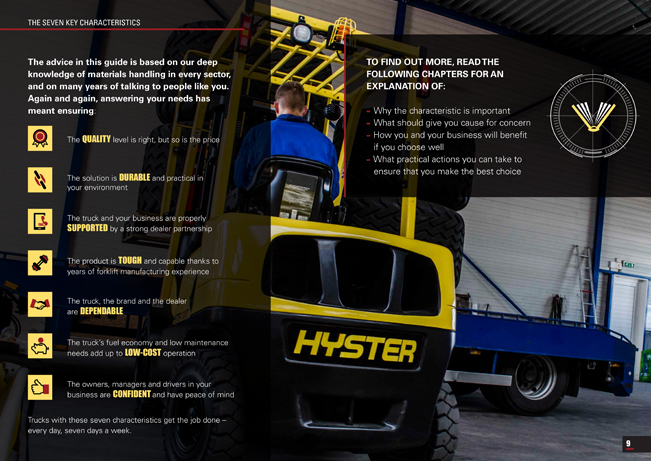 To enter the prize draw from the Hyster website download the The Seven Key Characteristics of Trucks You Can Count On eGuide using a valid business email address and simply tick the box at the bottom of the form. One lucky winner will win a Corporate Monster Truck Experience for their team at Leisure Pursuits in East Grinstead, West Sussex. The winner will will receive a choice of a full day experience (6 hours excluding lunch) for 4 people or a half day experience (3.5 hours excluding lunch) for 8 people. The prize is supplied by Leisure Pursuits, The Lower Stables, Hammerwood Road, West Sussex, RH19 3RX (“the Supplier”). 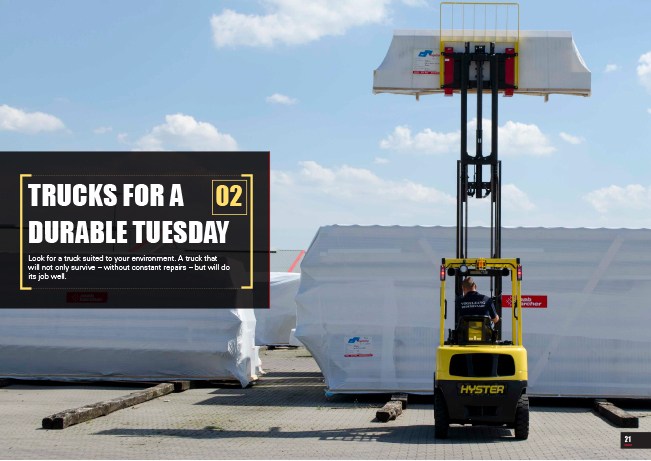 Hyster-Yale UK Limited reserves the right to replace the prize with an alternative prize of equal or higher value if circumstances beyond Hyster-Yale UK Limited’s control makes it necessary to do so.